A team of young employees from agencies including Adam & Eve/DDB, DLKW Lowe, and Deep Focus won the 2015 Nabs Fast Forward competition with a campaign addressing transgender equality. 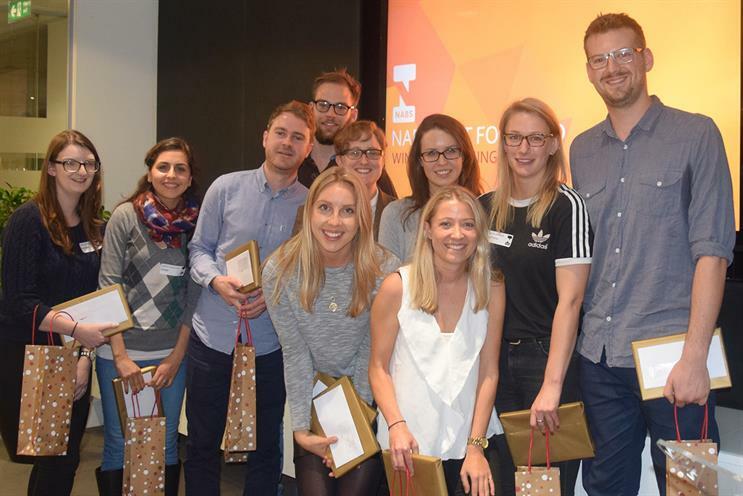 Eighty of adland’s rising talent tackled a brief from Stonewall, the LGBT equality group, at this year’s programme. Fast Forward is an annual training event, now in its 16th year, set up by Jeremy Bullmore, and is currently run by Mark Creighton, the chief operating officer at Dentsu Aegis UK and Ireland, as the course chairman. This year’s campaign concept, which challenged perceptions and stereotypes around gender, came to a close last week at M&C Saatchi. The competition initially saw eight teams deliver ten-minute pitches to Ruth Hunt, the chief executive of Stonewall, alongside a team of judges at J Walter’s Thompson’s office in London. Called Team Rivera, the winning team was mentored by Clive Baker, the managing director of Movement Digital, and Elliott Millard, a managing partner at Starcom Mediavest Group. The team comprised: Annabel Barratt, an account executive at Adam & Eve/DDB; Margot Hauer-King, a WPP fellow at Brand Union; Tatiana Jezierski, a junior planner at Deep Focus; Izzy Falcon, a global account manager at DLKW Lowe; Samar Kazranian, an industry analyst at Google; Mike Reynolds, a mobile manager at IAB; Sarah Cadwallader, a global account executive at Media Therapy; Ed Leftwich, a client manager at Posterscope; Olivia Glendinning, an account executive at Sky Media; and Graeme Hadley, an account executive at Spark44 London. The judges this year were: Claire Beale (Campaign), Bullmore (WPP), Creighton (Dentsu Aegis), Hunt (Stonewall), Paul Phillips (AAR), and Diana Tickell (NABS). Hunt said: "We were incredibly impressed with the level of thought and insight that had clearly gone into all of the teams’ works, but Team Rivera just pipped their competition to the post. "Their campaign managed to distil complex ideas of gender into a very simple and easy to understand message. It was a great piece of work, complemented by a very good pitch, and an enthusiastic and creative team."